"Tossed by waves on this ocean of samsara, yoga is the sturdy life-raft and meditation our compass to steer us safely home." Kookaburra Creek has been blessed by great souls (Mahatmas) over the last fifteen years. Robert has been practising and teaching yoga for over 36 years in South Africa, Mauritius, India and Australia. Robert was initiated into yoga and meditation at the age of 20 by his Diksha Guru HH Sri Swami Venkatesanandaji Maharaj of the Sivananda tradition, Rishikesh and was given the spiritual name Narayan. Robert spent many years practising intensively living in ashrams and travelling in India before settling into family life. 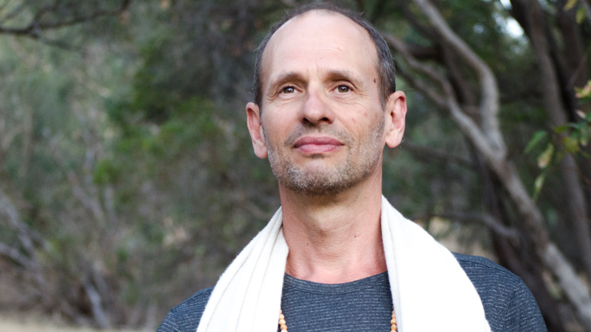 In the 1990s Robert built the Kookbaurra Creek Yoga Centre in honour of his Guru which he co-directs with Mandy, with whom he shares the spiritual journey. The centre has been blessed by some great souls (Mahatmas) over the fifteen years. Sri Swami Ramakrishna of the Amritanandamayi Mission has visited a number of times, Sri Somanatha Maharishi of Hyderabad introduced the centre to Mano Yoga. 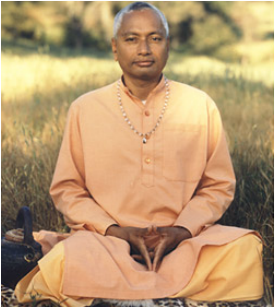 More recently Sri Swami Satyanarayana Chillapa initiated Robert as a preceptor in the path of Pranahuti meditation which is now practiced daily and with a group of devotees on a weekly basis. Robert teaches a dynamic style of Integral Hatha Yoga based on the tradition of Patanjali's Raja Yoga. Asanas and Pranayama are used to guide aspirants seeking a deeper experience of meditation. Robert has a Masters degree in Psychiatric Social Work and is a skillful life coach and group facilitator. He works professionally in the field and strives to integrate a working life in the world with a love of yoga and meditation and the responsibilities of being a householder, husband and father. This is the challenge many face today, spiritualising day to day life.